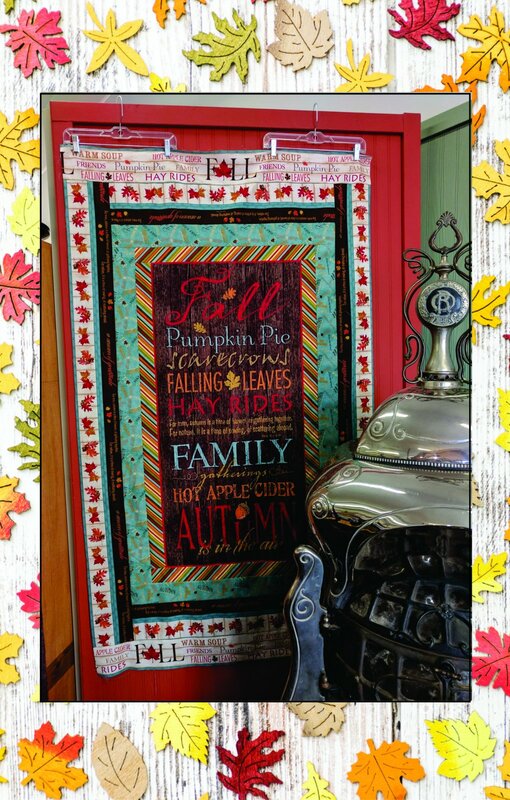 Colors of Fall Wall Quilt. Pattern by Stephanie Marrott. Fabric for wall hanging and binding. Measures 40" x 68".